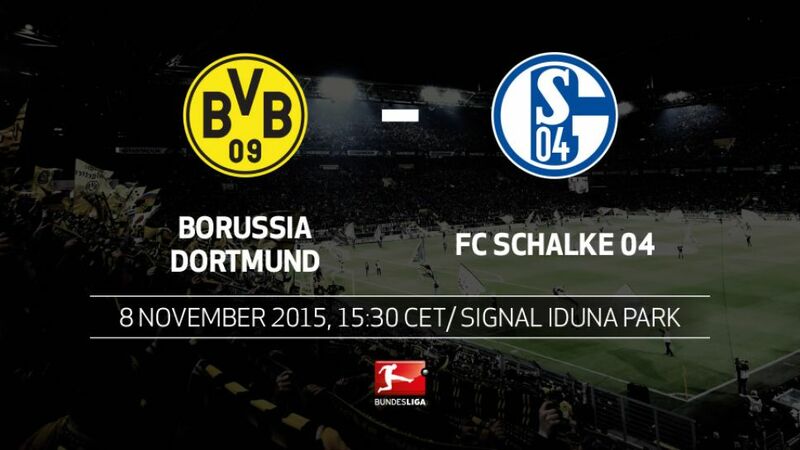 In the must-see tie of the weekend, Borussia Dortmund host neighbours and fierce rivals FC Schalke 04 in the 87th Bundesliga Revierderby on Sunday afternoon (kick-off 15:30 CET/14:30 GMT). Check out our dedicated pages forRevierderbystarsMarco Reus,Klaas-Jan Huntelaar,Pierre-Emerick AubameyangandMats Hummels. For the first time since 2009/10, neither Dortmund nor Schalke are playing in the UEFA Champions League.It is the start of an intimidating run of fixtures for Schalke, with games against FC Bayern München and Bayer 04 Leverkusen following on Matchdays 13 and 14 respectively.In the last ten competitive fixtures between these two there have been 39 yellow cards, but no sendings off.While both teams have conceded 13 goals so far this term, Dortmund have scored more than twice as many as Schalke have (32 to 14).BVB have scored an average of 3.4 goals at home in the Bundesliga this season, while Schalke have netted an average of just 1.2 goals on the road.